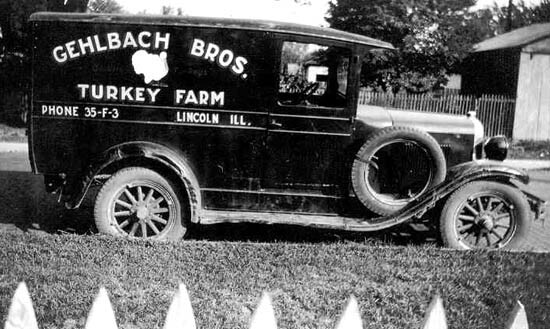 The Living Railroad Heritage of Lincoln, Illinois: on Track as a Symbol of the "Usable Past"
Why Did the State Police Raid Lincoln, Illinois, on October 11, 1950? April 24, 2004: Awarded "Best Web Site of the Year" by the Illinois State Historical Society "superior achievement: serves as a model for the profession and reaches a greater public"
Early in 2007 Dave Armbrust, fellow member of the LCHS noble Class of 1960, emailed me to offer some ad cards from various businesses in Lincoln, Illinois, our mutual hometown. 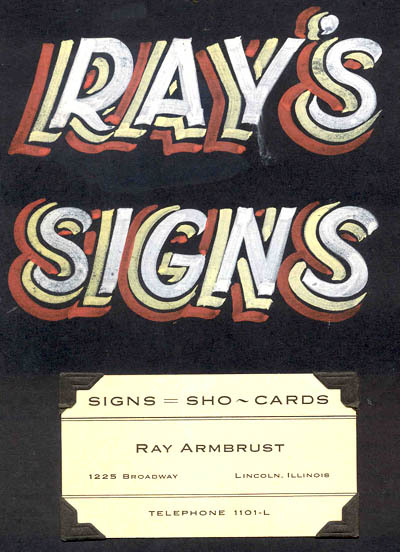 I was gratified to receive those items and asked for more of these wonderful old-time ads if he had some (he sent several more). I also invited Dave to send any other material relating to Lincoln, and he has generously offered various photos, scans of items of interest, and information about his family history. 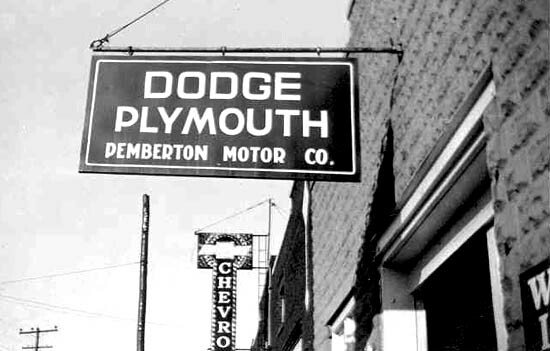 Dave's Lincoln roots are deep: for example, his father and grandfather spent their lives there. At the bottom of this page, access links to Other Material in This Site Provided by Dave Armbrust and Related Topics. Email Dave at armbrust@ccaonline.com. 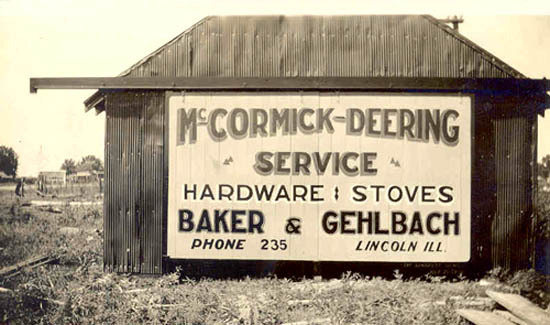 Both Dave's father and grandfather had worked at the Lincoln Casket Company. 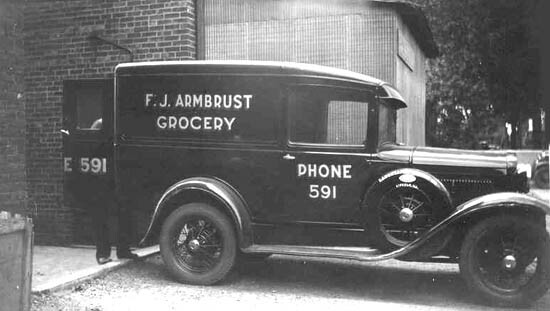 For a photo of Dave's Grandfather Jake and other information about the Armbrust employment there, see the page in this site titled Factories, Past and Present (link below). 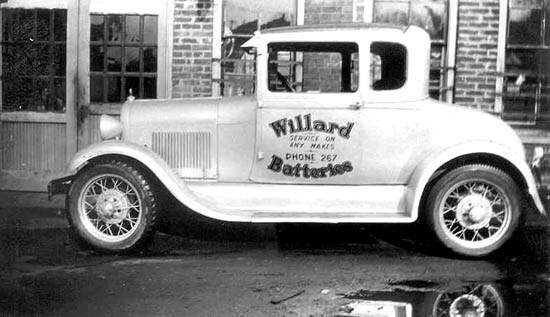 Dave writes, "My dad was trained as a sign painter in his early years. 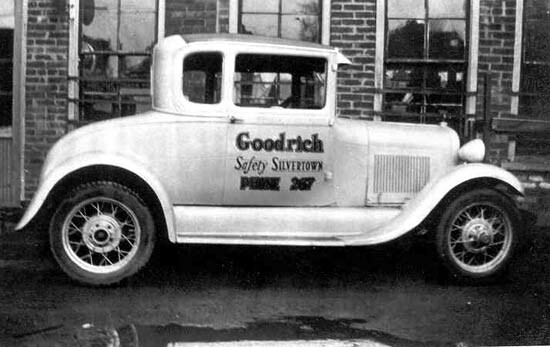 The depression shot that down as a good profession at that time in his life as there were dozens of itinerant sign painters traveling the country, and the brother of the fellow he worked for had to drop out of college and needed work. 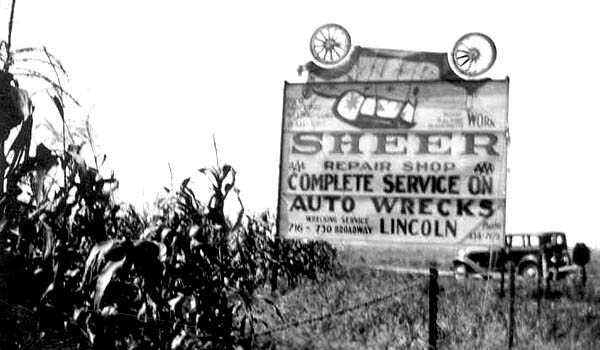 On the really large billboards (Sheers Auto & McCormick-Deering on the barn) Dad was helping Harry Stuckel, the gentleman that taught him the trade. 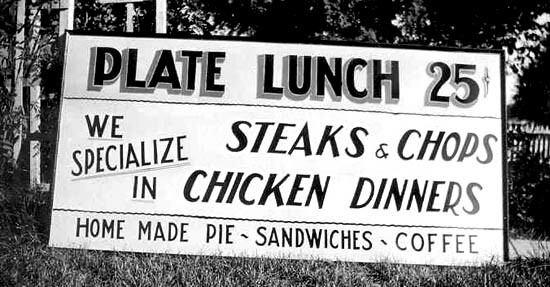 The rest he did at home as can be seen in the photo of the sign featuring the plate lunch for 25 cents leaning against a trellis in the yard." 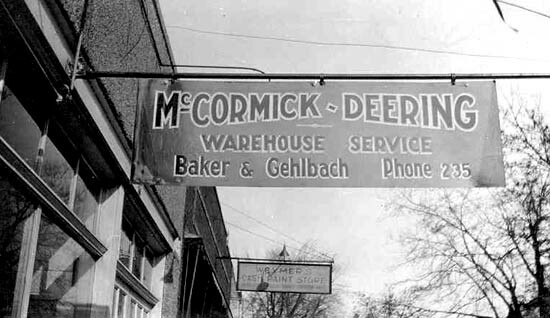 3: Behind Langellier's on Chicago St.
12: This Grocery Was in the Location Bock Realty Now Occupies on S. McLean St.
Business ad cards are located on the Business Heritage page in this site. Scroll the entire page, but many are located toward the bottom. Lincoln Casket Company (information in this site on the page titled Factories, Past and Present, including information about the Armbrusts who had worked there). 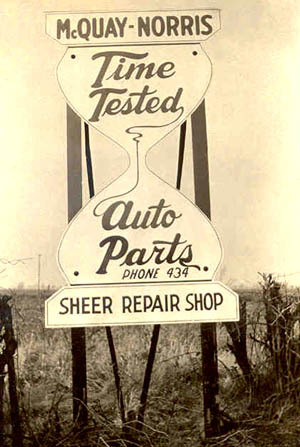 Sheers Auto Supply (additional information on the page in this site titled Cars, Trucks, & Gas Stations of the Route 66 Era). Email comments, corrections, questions, or suggestions. "The Past Is But the Prelude"
The founding fathers of this town asked their attorney, Abraham Lincoln, for permission to name this new community after him, and he agreed. On the first day lots were publicly sold--August 27, 1853--, Abraham Lincoln, near the site of the train depot, used watermelon juice to christen the town as Lincoln, Illinois. 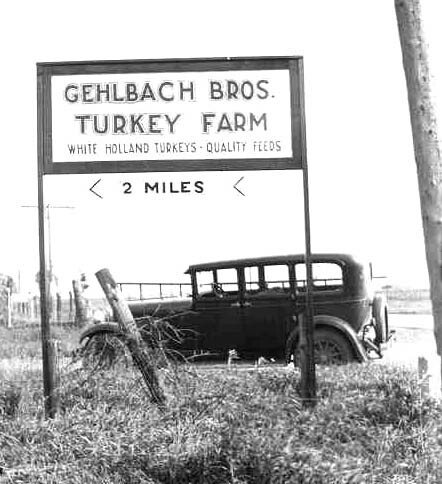 It thus became the first town named for Abraham Lincoln before he became famous.